Earlier this month, we announced that Neverwinter – the free-to-play MMORPG based on the Dungeons and Dragons franchise – would be coming to PlayStation 4. The wait will soon be over as we’re happy to reveal that Neverwinter is launching on 19th July. Starting that day, you will begin your adventures across the Forgotten Realms with your friends all available for free. For those that want to get in a little earlier than 19th July, we will be offering a Head Start pack that will get you into Neverwinter a week early in 12th July for €19.99. The pack will also come with additional in-game items including an Onyx weapon pack, a 20-pack of enchanted keys, a special Onyx Horse mount and more! After launch on 19th July, Neverwinter will continue to grow with in-game events and upcoming expansions. We have already announced our tenth expansion called Storm King’s Thunder that will have players investigate the sudden return of the Giants to the Forgotten Realms. Neverwinter: Storm King’s Thunder will be coming to PlayStation 4 later this year giving you even more free content to play! We’re extremely excited to welcome you all to the realms. 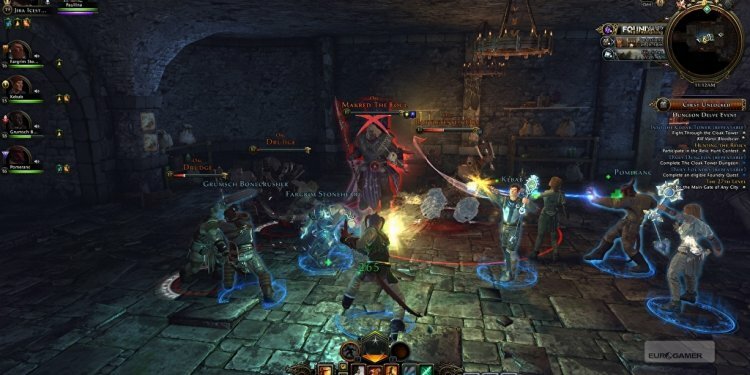 Neverwinter on PlayStation 4 will contain all nine expansions in addition to the base game and eight playable classes, each with varying paths. You’ll travel all across the Forgotten Realms to locations such as the frozen peaks of Icewind Dale, the sunless Underdark and the radiant forests of Sharandar. Amidst your journey, you will fend off orcs, the undead, elementals and even a five-headed dragon. All of this will be available for non-PlayStation Plus players too!